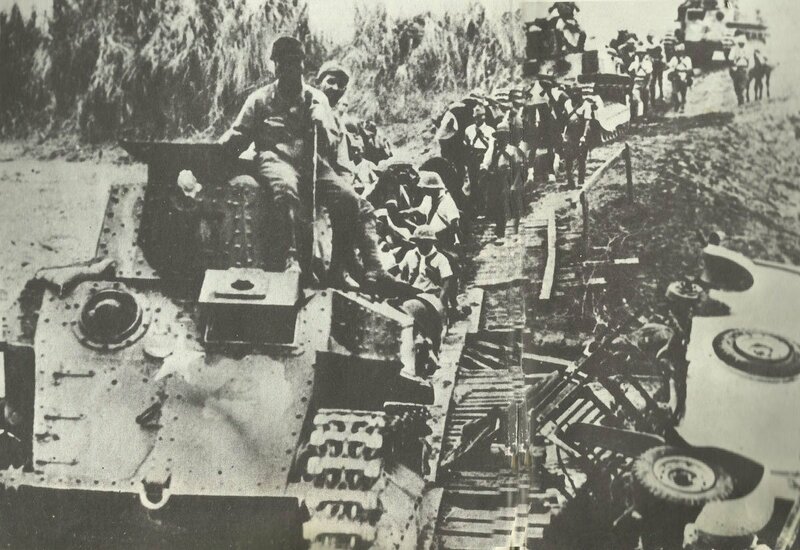 Japanese light tanks cross a provisional bridge in Burma. Burma: Japanese cross river Salween. Pacific: Japanese raid airfields near Batavia, capital of Dutch East Indies. USA: Troopship Lafayette (83,000t) – ex-French liner Normandie – catches fire in New York Harbor. She capsizes, February 10. Britain: Soap rationed: 4 oz (113 g) household or 2 oz (56 g) toilet per person per month. Canada: 4 by-elections: ‘Anti-Conscription’ candidates heavily defeated. China: Chiang Kai-shek visits Delhi, India.